If you are one of the many people who hide their smile due to stained, crooked or chipped teeth, then you should consider dental veneers. Veneers are one of the many cosmetic dental treatments that have grown in popularity due to their ease in application, and for the results they can produce. With just a few dental visits, the application of veneers can give you healthier looking teeth that will benefit your overall appearance and lifestyle. Veneers are very thin mouldings that are specifically made for your teeth. The veneers themselves are made from materials designed to replicate your own teeth and give a natural, bright smile. The mouldings used can vary in material and size and there may be some minimal reshaping of the teeth. Whether the procedure is reversible or not depends on the amount of tooth reshaping needed. Once the veneers are set in place, you will have brighter, healthier smile that can last for up to 15 years. The veneer procedure itself and how much reshaping of the teeth will depend on the condition of your teeth and on the type of veneer that is used. There are two different procedures and three kinds of veneer that can be applied to the teeth. Before your treatment, your dentist will assess your teeth and discuss the best type of procedure and veneer that will work best with your teeth. The composite veneer procedure can usually be achieved with one dental visit. Composite resins are bonded to the front of the teeth and are then shaped to the size of your teeth. Unlike other types of veneer treatment, composite veneers will not need any reshaping of the teeth. This type of procedure is also less expensive than others but on the downside the composite veneers will not last as long, the usual life span of composite veneers is around five years. Porcelain veneers will require some tooth reshaping; this means that the teeth will need to be reduced in thickness to give adequate space for the veneer. The reduction in teeth will usually be around 0.3mm to 0.5mm, and due to the tooth reduction the procedure is not thought of as reversible. The big advantage with this type of treatment is that the veneers are extremely strong once they have been bonded. The lifespan of porcelain veneers is around 15 years. Lumineer porcelain veneers are the latest cosmetic treatments available in this field. Requiring very little or no tooth reduction, this type of veneer is around 0.2mm thick; the same size as a contact lens. The Lumineer porcelain veneers are made from Cerinate porcelain; stronger and more durable than normal porcelain with less thickness. Each type of procedure has its own benefits and disadvantages, most people would opt for Lumineer porcelain veneers, but as this is the latest cosmetic treatment it will be more expensive than composite or porcelain veneers. Your dentist will be able to give advice and you should bear in mind the amount of work that will need to be needed for each treatment. Porcelain veneers will usually require the most tooth reshaping, and anaesthetics or shots will be required to numb the pain. Both Lumineer and porcelain veneers will require a number dental visits before the procedure is completed and their will be laboratory work involved. Dental veneers are a great way to gain a healthy, white smile in a relatively short period of time with minimal dental treatment. They are also a good substitute for more traditional and work intensive orthodontic treatment if you have crooked or teeth with gaps between them. Just a few dental visits can give you the smile you have always wanted. I have registered with a new dentist because I moved 30 miles from where my previous dentist was. 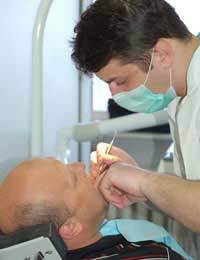 The new dentist has been a nightmare and every treatment I have had done with him has went wrong. All my filling fell out with one day and I complained to the practice. He then took me back and started the treatment again but because one of the teeth had been weakened, it broke in half and had to be removed, I then got an infection and was in agony for three days. After going back yet again he filled the other teeth and they have fallen out this morning. I dont know what to do and I am so diss heartened.